After the victim drove away from the parking lot with her two children, the suspect followed them. TALLAHASSEE, Fla. -- An argument between two shoppers at a Tallahassee Publix over who was next in line escalated into a frightening armed confrontation in the parking lot. 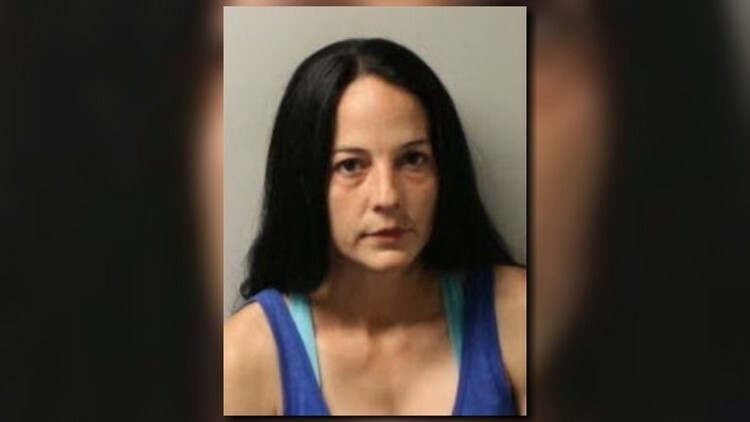 Jessica Mock, 36, of Havana, was arrested afterward on a charge of aggravated assault with a deadly weapon without intent to kill, according to a Leon County Sheriff’s Office report. Mock was about to check out Sunday at the Publix near Lake Jackson when she realized she’d forgotten to pick up Tupperware. She left her cart in the lane to get some and found another woman trying to check out ahead of her when she returned. The victim unloaded her groceries and returned her cart, running into Mock again along the way. Mock pulled a small handgun from her waistband. The encounter didn’t end there. After the victim drove away from the parking lot with her two children, Mock followed them. The victim called law enforcement, who stopped Mock as she followed behind the victim on Fred George Road. Mock denied being armed inside Publix, brandishing a gun or intentionally following the victim. However, deputies searched her car and found a holstered, silver revolver in the center console. They also found the victim’s vehicle tag written on a note. Mock was taken to the Leon County Detention Center and released Monday on $1,000 bail.